Paco and George were thrilled to have the comedy legend Wayne Federman over to talk about his favorite documentary CRUMB. Crumb is Terry Zwigoff’s (Ghost World) first film about his longtime friend and bandmate, godfather of underground comics Robert Crumb. 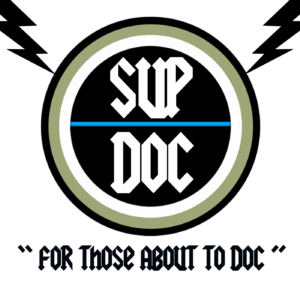 This doc soon expands its scope to the Crumb Brothers (Maxon and Charles) and ends up going many unexpected directions. 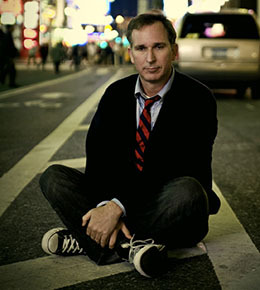 Wayne Federman is an American comedian, actor, author, comedy writer, and musician. He is noted for numerous stand-up comedy appearances in clubs, theaters, and on television; a biography of “Pistol” Pete Maravich; and supporting comedic acting roles in The X-Files, The Larry Sanders Show, Curb Your Enthusiasm, Community, Legally Blonde, 50 First Dates, The 40-Year-Old Virgin, and Step Brothers. He was the head monologue writer for NBC’s Late Night with Jimmy Fallon in its first season. The movie chronicles Crumb’s career, highlighting his creations “Keep On Truckin’” and Fritz the Cat, and his pioneering role in the genesis of underground comix. Interviews with his family members and ex-girlfriends (such as Kathy Goodell), and commentary from critics like Robert Hughes and Trina Robbins, as well as selections from Crumb’s vast artist output, shed light on Crumb’s psychology and darkly cynical perspective on life. Portraits emerge as well of older brother Charles, who committed suicide before the film was released, and youngest brother Maxon, a panhandler who painted to assuage his inner demons. Though filmmaker Zwigoff had the consent of the Crumb brothers, some questioned the ability of the more disturbed brothers to provide that consent. The involvement of Charles and Maxon, which Zwigoff felt was just as important to Robert’s story as anything else, led Zwigoff to title the film Crumb to imply the importance of all three brothers. 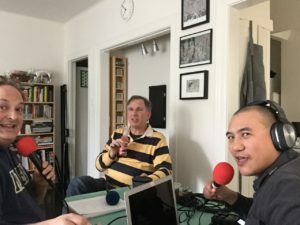 Just came across your podcast on the “Crumb” documentary, and dug your guys take on it, as I’m always interested in others’ views and opinions.